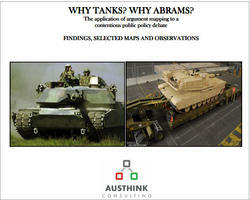 In 2006 the Australian Army commissioned van Gelder & Monk to map the arguments bearing on the controversial decision to purchase the US Abrams tank. 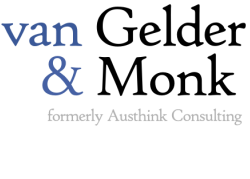 They produced a substantial report exhaustively mapping the lines of argument, revealing that while there had been errors on both sides, Army’s critics had failed to properly grasp the case or check the assumptions underpinning their objections to the decision. Note that all versions are designed to be printed in colour on A3 paper.